Getting the SEO right across an eCommerce platform is a monster task, regardless of whether you have 50 or 50,000 pages. 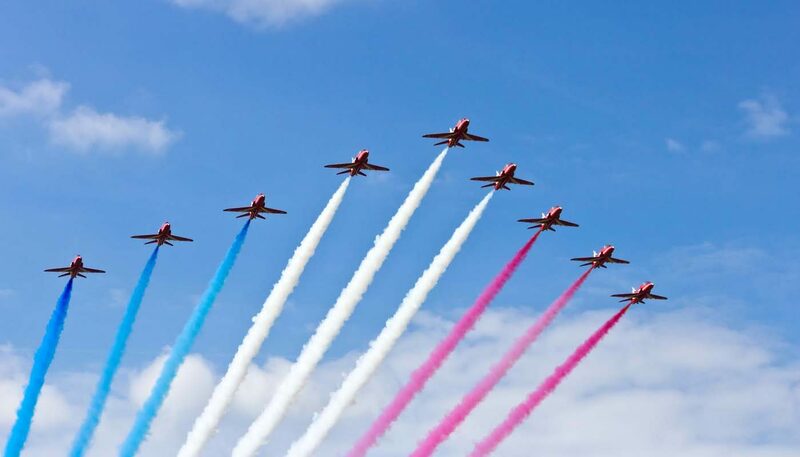 In this article, I’ll cover some of the tactics that you can apply to your category pages, but before we dive in, let’s debunk a few myths. It’s important that you focus on the user and not search engines. If you hear “content for SEO” and not “what content will help users buy products?” don’t listen. Create content that your users will find useful, informative and interesting. Search engines will appreciate this much more than content you think they want to see. Many people argue over where is best to place content on a category page. If you search for a product and take a look through the results, the content they have (if any at all) will vary from above the fold at the top to the below the fold at the bottom of the website. It really does vary from site to site and industry to industry. I recommend testing. Test having content at the top and bottom (perhaps both?) then watch what happens to your conversions. Which one works better? What are the majority of your competitors doing? Keep in mind that the more content at the top you have, the more it pushes those products down, below the fold, away from your prospective buyers. “What is a dependency” I hear you ask? A dependency is when something on your website changes because you changed something else. The most common attribute this affects is the heading tag (or “H1” tag). Many eCommerce CMS systems will allow you to change the heading tag for a category page, but it will then change the URL automatically. Or perhaps the heading tag is attached to the name in the menu. Although dependencies are, from a technical perspective, useful, they’re not great from a user and search perspective. They limit what you can and can’t change about your site, making you less competitive and stopping you from taking advantage of all the various aspects of your category page. Your category pages are likely to have hundreds of products within them, so you’ll probably have pages upon pages. Pagination is an important aspect of optimising your category pages, as one category can potentially have tens of them. With this in mind you need to make sure these pages are crawlable and indexable by search engines. To do this, you should integrate pagination using some code called ‘rel=prev/next’. This is the process of adding some code into your pages individually so that they ‘connect’. This allows search engines to find these pages and add the authority from each of them to the first. It also allows them to more efficiently show your prospective buyers the right page, depending on what they’re searching for. You can find out how to integrate rel=next/prev from Google. Have you ever been doing some online shopping, come across an interesting category and had to flick through countless pages before you find what you’re looking for? According to research by Google, users prefer to see all products in one go, so it’s important you provide this option. Find out how to integrate the view-all page into your site here. Filters and product options on your category pages are essential for increasing usability and revenue. Without them your users will struggle to find exactly what they’re looking for. However, as necessary as they are, they can also prove to be challenging barriers when it comes to good search engine optimisation. Many product filters cause the product listing to be displayed differently in many ways, such as a list rather than in blocks, by relevance, by lowest price first, and many others. What this is effectively doing is showing the same products just in a different order. Usually each of these options carries a different URL, which means you end up with lots of duplicate or very similar content, which can be detrimental to the optimisation of your category pages. Now things get more complicated, yet search engines may see this page as the same content, just re-arranged. You can find out how to integrate the canonical tag into your site from here. Please remember that if you’re combining this tactic with the ‘view-all’ tactic above, then your canonical tag should point to the view-all version. Arguably one of the more overlooked aspects of SEO for eCommerce sites is that of internal linking. Navigation and internal links are a core part of your website, much like the importance of the tyres and brakes on a car. Without internal links, users and search engines are going to have a hard time navigating, crawling and finding pages on your site. Why would you want to make it difficult for prospects to buy your products? You need comprehensive, visible and easy to use primary navigation that allows your users (and search engines) to get from the home page to products in as few clicks as possible. A great example is Muddy Paws. From the home page, you can navigate to products in just one click using the comprehensive main menu. Make sure you link out from your blog articles to relevant category pages on the site. Don’t overdo it, but by attracting people into the site using your blog content and then directing them to your products is a great way of increasing sales. 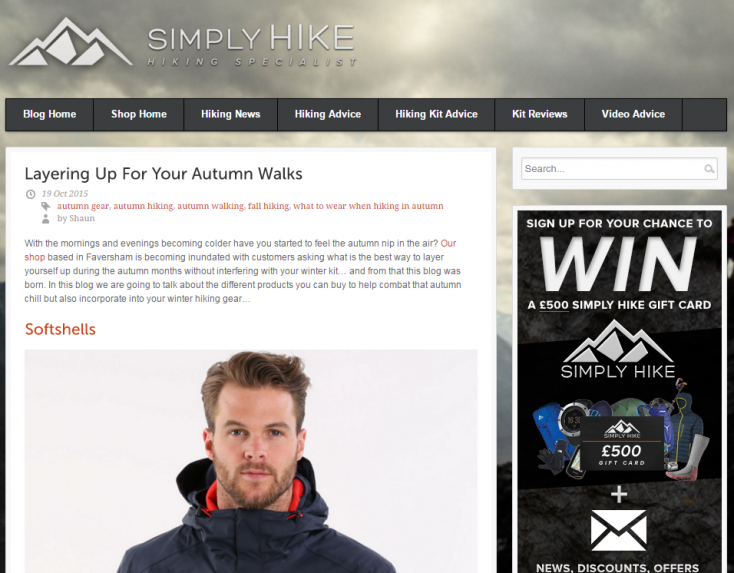 Simply Hike do a nice job of linking relevant terms from their blog posts to their category pages. Remember to be strategic with your linking too. Perhaps you know business increases around a particular event or time of the year. Take advantage of this and promote offers, seasonal discounts and themes to attract business and encourage repeat purchases from your category pages. Link to these important pages that need added attention from within other areas of the site. Many big brands forget all about this. 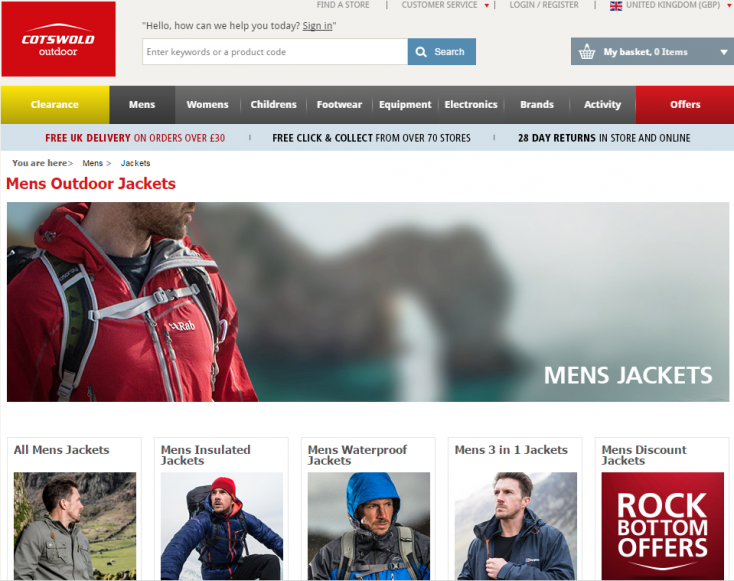 Take Cotswold Outdoors, which has category pages targeting “men’s outdoor jackets”, yet doesn’t make use of the big header image at the top to promote brands, offers or other points of sale. This is a big missed opportunity. If you have offers on products then it’s worth marking up your category pages with aggregate offer structured data. Breadcrumbs are a navigational element on your pages. You can mark this up allowing search engines to better provide information to users about how your products and categories are structured. Did you miss our eCommerce SEO checklist? Applying SEO practice to eCommerce websites can be horrendously confusing and time consuming, so if you own an eCommerce website, then this checklist is for you. 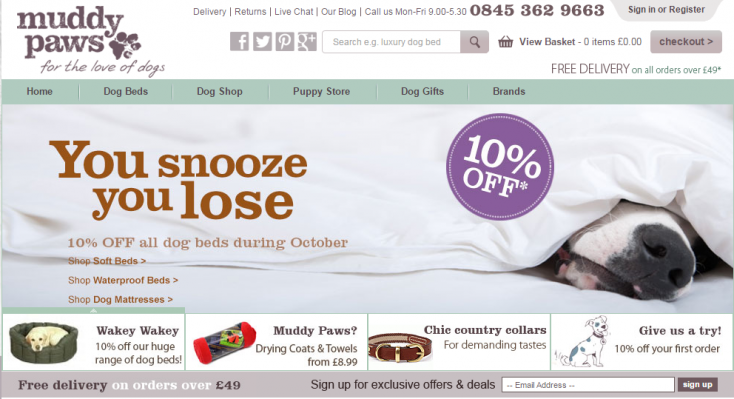 Optimising an eCommerce site is often a huge task. In this article, I have some practical tips and advice on how to enhance your eCommerce product pages.